After adding many new features to our app, we are offering free recharges to our Hungama Deal App users. In this giveaway you just have to download our Hungama Deal App (2.1 Version) and just have to keep your eyes on rewards section. And other 50 users will get recharge of Rs.10 each. 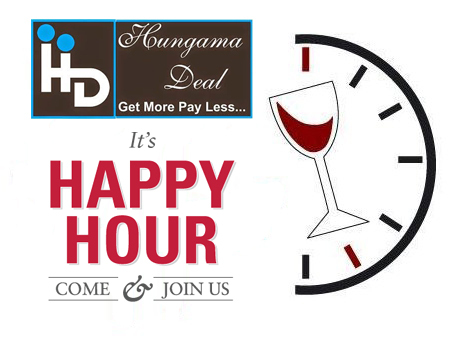 Happy hour contest will held for one hour on 2nd January. But the exact timings are secret. You need to check rewards section again and again to get the pop – up of recharge. Make sure to update your app to 2.1 version otherwise you will not get any pop-up or prizes. There you will see a pop – up of ‘Free Rs.10 recharge’ on the top. Discover the banner and fill details , that are, Names And Mobile Number (Fill Carefully). Your recharge will be done within 24 hours of submission. Offer is subjected to first come and first serve basis. Offer is valid for Hungama Deal App (Version – 2.1) users only. Old and new both users are valid for this giveaway. Recharge amount for first entry is Rs.500 and for other 50 entries Rs.10 each. It is valid for first 51 active users of app. Happy hour will be occurring anytime between 8 PM to 9 PM on 2nd January. Hungama Deal owns right to cancel this offer anytime. If multiple entries are found from a single device then he/she will be disqualify from this giveaway.